Most of times, we are introduced to use software programs to download videos from YouTube, MySpace, Vimeo, Blip TV and more popular video sites. To be honest, if you are not that much of a network master, you must experience being stucked for choosing the right program. Then what’s the cool app to download a favorite video for personal use or offline viewing? Probably a bunch of video downloading tools crossed your mind, but whether you have considered using browser video downloader? That’s to say, the downloading process is totally based on the web browser, which requires no apps. Perhaps you’ve done some research online, but not found a good substitute for desktop programs. Be at ease, now the following tips will assist you in getting the most watched videos around the web. In the first place, you’ve got to know what video grabber is. Actually it is the external website to download online videos. Simply input the URL into download area and click Grab it, the thumbnail image will present video formats options(FLV, MP4, 3GP etc). If you don’t make sure which one to select, I suggest you go with mp4, as it offers maximum compatibility with portable players. Thanks to video grabber, you must have figured out how to download video from browser. Well, the demo video will make the download steps a breeze. DownloadHelper is one of the browser video downloader available out here. After installing it for the first time, an icon will be added into your toolbar. Then every time you use it to download videos, just open the video webpage on firebox. It reminds you to download your wanted items once the icon becomes animated. Finally, hit on the download button to save videos onto local disks. This free add-ons can directly download videos on browser, but the biggest weakness is embodied in its incompatibility with other browsers. As its name implies, it is just a browser extension for firefox. Of course, google chrome extension is also worth mentioning. Before processing video downloads, you just need to download the extension from its official website. Please keep that in mind, you are not allowed to install it on your browser directly. After saving .crx file on personal pc, the proper technique of installation is to drag the file onto chrome Extensions page under Tools icon. Now it’s successful to add YouTube downloader. For instance, providing that you hope to grab videos from YouTube, the Download tab will display as soon as the video page is opened. Next is to select one of resolutions and video quality. Yep, it’s super easy to download videos as you like, but obviously this browser video downloader is only apt for YouTube video download on google chrome browser. What’s the best tool to download videos from browser? You see, both firefox and chrome extensions prompt you to download videos, but they bear some drawbacks respectively. As best we can tell, video grabber has the right balance of simplicity and diversity. Firstly, compared with those two tools, this web application applies in all browsers such as Internet explorer, Google Chrome, Firefox, Safari, Opera etc. Secondly, video grabber is not merely a YouTube video downloader, much better than that, it supports to download videos from YouTube-like sites including Ustream, Dailymotion, Break, Metacafe, Trutv, Lynda and tons of other sites. Last but not the least, it features easy operation so that users are able to perform the trick even on their first try. So much for this, what’s your choice now? Downloading videos within your browser is as easy as you can. To be specific, people who use Firefox, Google Chrome, Safari or Internet Explorer could make grabbing of online clips possible in just one single click. All you need to do is to select the right downloading tool that fancy your desires. In Firefox, Video DownloadHelper is the common-used video downloading tool, which is a browser add-on that needs to be installed. Aside from videos it can download pictures, documents, and other files. The newest version of this tool allows automatic file conversion depending on your preferred format. But what if you’re not satisfied with Video Downloader Helper’s performance, the free online application are freely available on Firefox. Google’s very own web browser Chrome has its own grabber called the FVD video downloader. It is not a native feature but a browser plugin or add-on that allows you to download pictures, audios and videos. If you’re looking for a lightweight downloading app compatible with Chrome browser without the need of extra desktop application or plug-ins, this web-based tool totally help you most. It is absolutely free to download videos in IE with DownloadHelper but there is a 20MB restriction. And another option is Video Grabber, with it, you don’t need to install it, be a member or pay certain fees; everything is free with no limitations or restrictions. 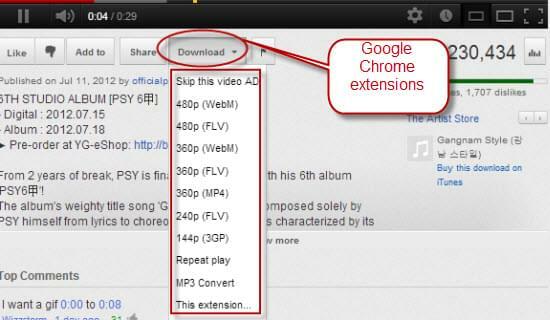 You could also use the same tool to convert files, convert video to mp3, search videos, grab audios and save screenshots. 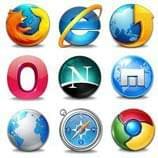 For Safari users, you could install browser add-ons such as the Safari browser extension to download online video clicks. You simply visit safari’s extension page and activate it manually. One noticeable difference when compared to online video grabbing tool is that it can’t grab clips from tons of other sites except YouTube.